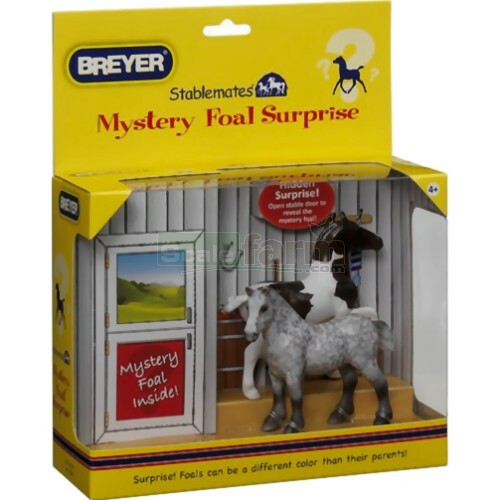 Mystery foal surprise pack includes 2 Stablemates horses and 1 foal. Open the stable door to reveal the mystery foal. Surprise! The foal can be a different colour to its parents. Three families to collect, each horse has different colouring and markings. Three sets to collect; please contact us if a particular set is required.